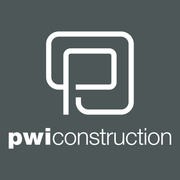 PWI Construction, Inc. is a client service firm who provides commercial general contracting and construction management services across the nation. By partnering with every member of the design and development team, we ensure projects are completed with a high level of integrity and superior client service. With licenses across the United States and areas of Canada, we are a nationwide contractor with a local touch. PWI Construction is headquartered in Las Vegas with regional offices in Phoenix, Austin, and Miami and employees across the country.